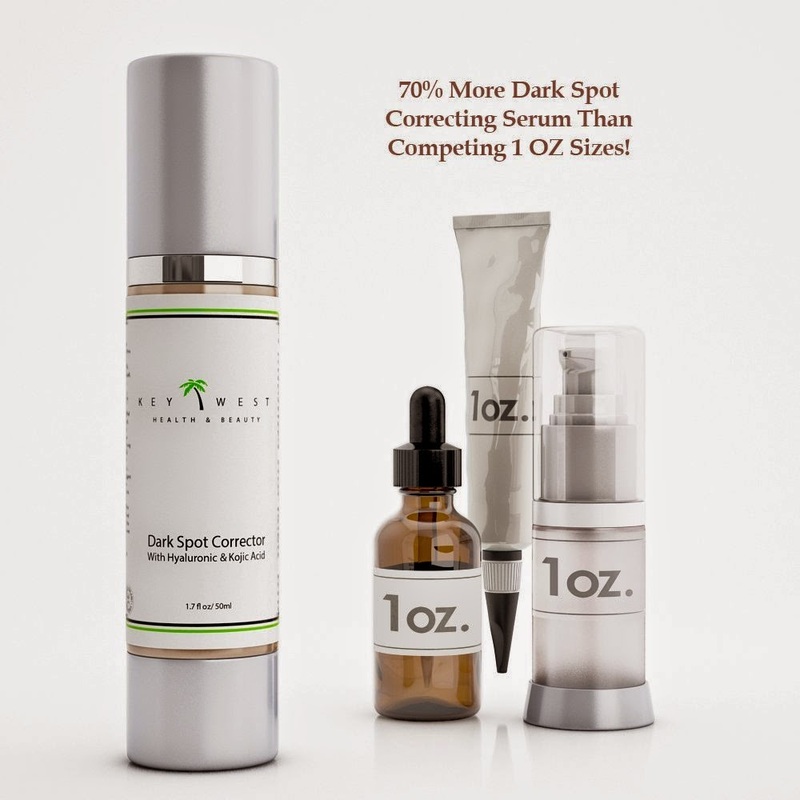 BEST Dark Spot Corrector With Hyaluronic, Glycolic & Kojic Acid - Large 1.7 OZ Size - No Harmful Hydroquinone, Mercury Or Parabens - Ideal For Face & Body Use For Men & Women - Correcting Serum Reduces Age Spots, Sun Spots & More! I had a few dark patches on my skin from slight acne years ago. I even went to the dermatologist and she gave me a prescription to lighten my dark spots which did not work. I have been using Dark Spot Corrector for almost a month now. It truly did lighten my dark spots. I was pleasantly surprised to see my blemishes begin to fade. My skin looks a whole lot clearer. Works much better than any other products I have tried before with little success. If you have acne blemishes I would recommend this product to anyone who has the same problem. I have oily skin and it did not make my skin feel oily. I love that there is no Harmful Hydroquinone, Mercury Or Parabens. My skin looks amazing after only using it for almost a month twice a day. I am looking forward to receiving long lasting results. I did receive this product complimentary in exchange for my honest, unbiased review.